Jeroen Verhoeven's rather stunning chandelier is powered by sapphire-blue solar panel cells cut into the shape of butterflies. Self sustaining, it absorbs the energy of daylight to fuel its own illumination. Why butterflies? Well, physically these delicate insects also power their own bodies, using their wings to absorb the rays of the sun, in turn raising and sustaining their own body temperatures to that which is necessary for their survival. Like butterflies, Jeroen is one smart sustainable cookie... I think I want one of these. 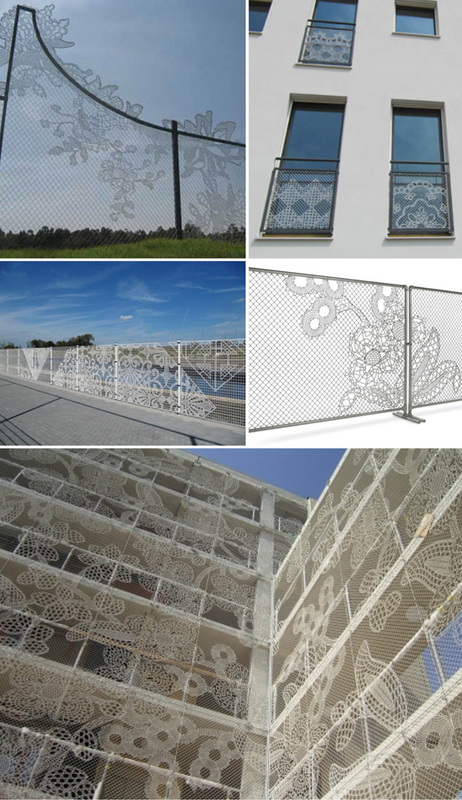 Design house, Demakersvan, took inspiration from Dutch lace makers to turn the humble cyclone wire fence into works of art. Sometimes I wonder if I need a cane in addition to my glasses? Apparently this bookstore has been open for 15 months and can be found right around the corner from where I lived for over 20 years. The Brotherhood of St Lawrence had a backlog of books in their donations warehouse and spotted a niche opportunity. They own the building so closed down the general 'op shop' offer and re-opened with a specialised concept and v. cool fit out to shift their second hand books. Prices range from $1 to $7 with a sprinkling of rare books at more relevant prices. If you can't make it to 215 Glenferrie Rd Malvern then you can buy on-line (we all know Op Shops are hip and they have reinvented themselves in recent years but this one takes the category to another level). DEA Interiors did the design ... and what a nice job they've made of it (love the central tree structure). The super nice lady behind the counter on Saturday was so helpful and seriously passionate about her product. Vote with your feet, or mouse, and support this fab social enterprise. It's right next door to Grill'd. I did a quick scout along Victoria Street on Saturday morning to check out Daiso, the Japanese concept where everything is $2.80 (known in Japan as the 100Yen store). I found the aisles were very narrow (probably not if you're Japanese) and the fit out is what you would expect with such a price point positioning, but I couldn't help think that with a liiiiittle bit of tweeking to the design and format they could produce a much better store experience without diluting their value positioning, and lift their average sale ... which on a sample of 3 seemed quite significant to me (the lady ahead of me spent $54, the lady next to me spent $52 and I spent $53). I picked up some great little treats for the short people's Christmas stockings. 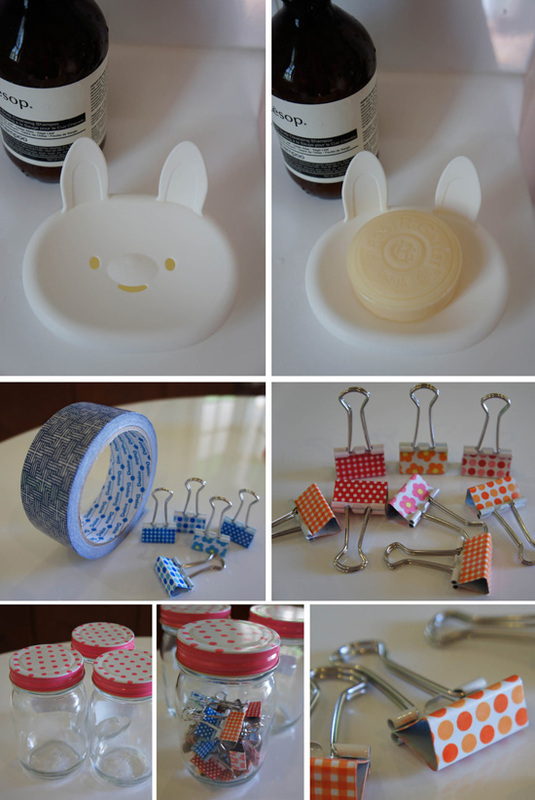 The 'almost alessi' rabbit soap holder would be a hit in any kids bathroom, the v. cute mini paper clips came in a pack of 8 for $2.80 (that works out to be $0.35c each versus $1.40 each for the 'same' thing at Kikki-K) and those cute spotty jars will be fab for home made biscuit pressies in a few months time. If anyone knows their average sale value here in Australia then I'd appreciate you letting me know. I went to Dasio at The Hive, 313 Victoria St Richmond (terrible signage, I almost walked out thinking the store wasn't in the building ... you have to go up the escalator to find them). They are also at Westfield Doncaster, and from what I hear are doing very well there (actually if you are going in search of that rabbit soap holder I'd go to Westfield as there are loads of other fab shops at Doncaster and the sushi bar in the food court is one of my faves ... Shige the sushi chef used to head up Kenzan and has been in the kitchen at Koko at Crown ... but I digress).